Can Facebook save endangered languages? The future of a dying language depended on translating the word "poke." For three weeks, about half a dozen defenders of the Corsican language worked together to translate some of the most common English terms used on Facebook: "friend," "like," "invite" and, of course, "poke." The word they settled on for poke, "stuzzicà," roughly means to alert or tease someone. It's like saying "yoo-hoo or cuckoo," according to Vannina Bernard-Leoni, who helped spearhead the translation effort. "It was good to try to find not only a literal translation, but really a very vernacular translation, very close to popular expression in Corsican," she said. "It was beautiful work." The unusual linguistic exercise was the first step in a two-year campaign that involved an estimated 2,000 participants collaborating to translate everyday words, symbols and Facebook phrases into Corsican. 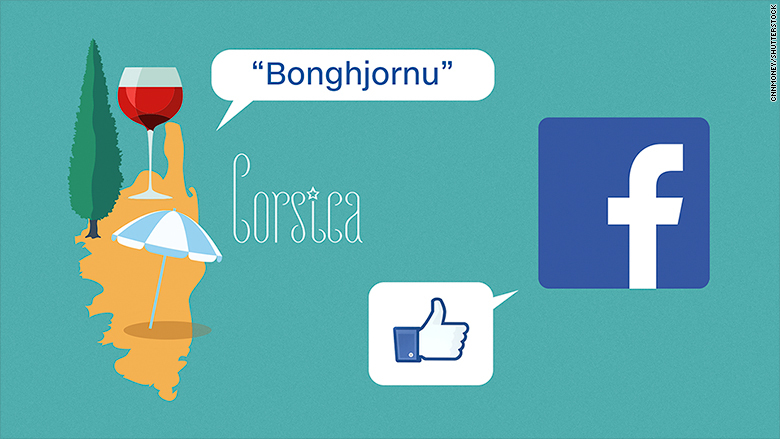 The goal was to convince Facebook (FB) to recognize Corsican as an option for users, thereby giving the endangered language a home on the world's largest social network -- and perhaps a firmer place in the 21st century. On Thursday, Facebook announced that it is now available in Corsican and two other additional languages, bringing its total number of language options to 101. There are more than 6,000 languages in the world, half of which are expected to disappear by the end of this century, according to UNESCO. Corsican, a romance language similar to Italian, has been classified as "definitely endangered" by UNESCO, which means "children no longer learn the language as mother tongue in the home." To date, Facebook has added translation options for nine of these endangered languages, including Basque, Welsh and Tamazight. Another nine endangered languages, including Cherokee and Yiddish, are in the process of being translated. The translations are largely put together by crowdsourcing from local communities through a Facebook translate app. But Facebook does have to dedicate engineers to work with the communities and write code to support variations of each language. "This isn't a ROI type part of the business," says Iris Orriss, director of internationalization and localization at Facebook, using the acronym for return on investment. "The mission for Facebook is to enable people to share and make the world more open and connected. Language is such a vital part of connectivity." Orriss says Facebook may be able to help endangered languages stay relevant for the next generation. "Often ... the younger generation speaks the language, but doesn't care about it as much because the broad language of communication is often another one like English," Orriss says. By bringing it to Facebook, it shows the language "can be fun and can be exciting," she adds. "It's not just old books." 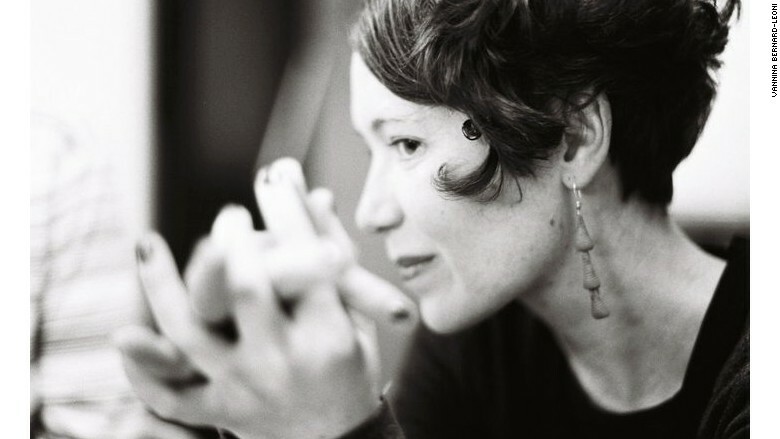 Bernard-Leoni, 35, first became interested in bringing Corsican to Facebook in late 2014 after she heard the social network had recognized Breton, another endangered language. She was born in Corsica, a small French island in the Mediterranean, but left at the age of 18 to study abroad and travel. She returned a decade later for a position at the University of Corsica -- with renewed conviction for the future of her culture. "I'm convinced that in Corsica we can be very attached to our past, our values, our culture and our language and at the same time be absolutely open to the world," she says. "I think this Facebook translation is a perfect illustration of this vision." Vannina Bernard-Leoni, who spearheaded the effort to bring Corsican to Facebook. 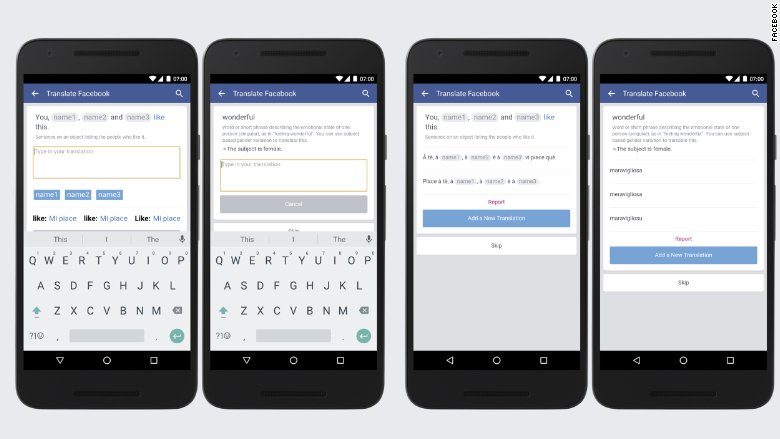 Bernard-Leoni helped organize a small team, coordinating mostly through a Facebook Groups page, to translate an initial batch of keywords to submit to Facebook. The company then gave the green light for a broader crowdsourced effort. The hope from Thursday's launch, she adds, is that "all Corsican people understand that there is a language for everybody." Facebook isn't the first tech company to offer support to endangered languages. Microsoft (MSFT) and Google (GOOGL) have launched projects to research, record and translate regional dialects -- with mixed success. "It looks impressive to an outsider, but if you sit down with a native speaker they will tell you the translation quality is laughable," says K. David Harrison, a linguistics professor at Swarthmore College who has worked with businesses like Microsoft on these efforts. Some communities are embarrassed by the translations online, while others see it as a positive for the language, flawed as it may be, according to Harrison. "Just seeing your language on a drop-down menu on Facebook is encouraging," he says. "They want to cross the digital divide with their language and they don't want to have to leave it behind."